We are a family run business based in Worcestershire, dedicated to supplying our customers with quality cycle spares and accessories at affordable prices. 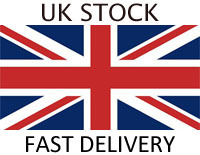 We have been in the cycle trade for over 35 years and now run as online only. If you require any advice on the products we sell, we are more than happy to help. We hope that you will enjoy browsing our online store.